Adjustable cable seals. ISO 17712: 2013 approved. These cable seals can be adjusted by inserting the steel cable in the holes and then pulling on it. 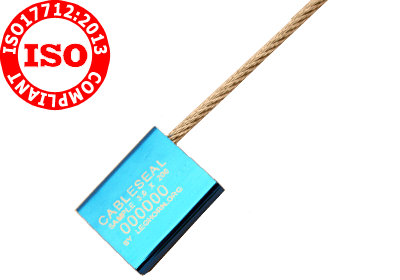 In order to prevent against any attempt of tampering, it is advisable to pull the cable down as far as possible. 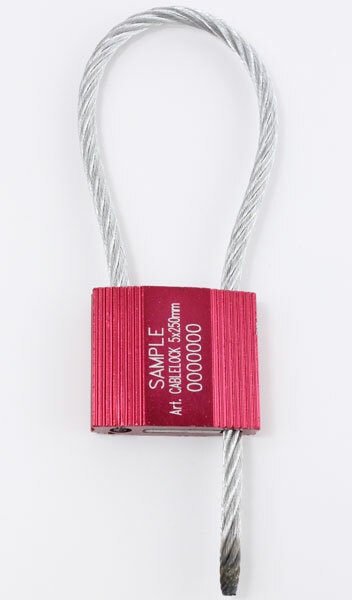 The length of the cable can be made to order. Different size available on demand. 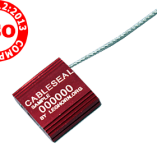 Adjustable cable security seals. ISO 17712: 2013 approved. These security seals can be adjusted by inserting the steel cable in the holes and then pulling on it. Need it today? GET IT NOW!